When it chimed at five, Toad looked up at the clock from the head of his table for thirty, chewing on the end of his pen. His Accountancy textbook and stacks of reference books and papers covered four place settings on both sides of the host&apos;s chair: geography and history, writing, accountancy, international trade regulations, and by his mother&apos;s request direct to the administration, diplomacy. A table-top globe took up the space usually occupied by one of his mother&apos;s three candelabra. He had but one more week to study before his exams. He had hoped to meet his friends later this evening, his first night out in days, but until he mastered double-entry bookkeeping, he would not be able to enjoy the opera, the view of the opera dancers, or the rest of the evening. He would have had to make an early night of it anyway, since Bey would want to get home to his new mistress, and Toad needed to get through six more chapters before the morning. He tugged at the hair now standing on end, his back straightening at the sound of footsteps coming up the building&apos;s endless flights of stairs, then a knock. He made no move. Blakeley would take care of it. Moments later, the butler cleared his throat at the dining room door, but before he could get a word out, "Clear the way, Blakeley. He should know better than to send regrets on a night like this." The speaker was a lithe, dark-haired fellow with a neat black beard. Nartay Muhadow, called Bey after the word for Lord in Turkmen—Bey-Bey when his friends or his older brothers wished to tease—stopped in the doorway at the sight of Toad at his books. When he drew up short, someone else lurched into his back, tossing him forward, revealing the head and shoulders of his newest mistress, Ninon Blanc, a young opera dancer in an extremely low-cut gown. "You are still studying?" Bey sighed. "We all agreed the study group would take a much-needed break this evening." "We agreed the group would not meet; I never said I wouldn&apos;t study." "You had to know we would come to drag you off. You cannot miss Ninon&apos;s last night." 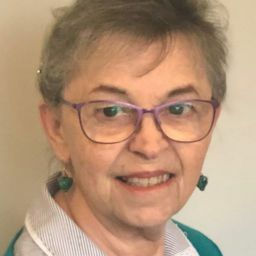 Ninon&apos;s breathy, tittering voice behind him added, "Abersham, you said you would let me introduce you to the soprano before I move into the new apartments. She has traded a favour for it, and I mean to collect." Her melodious giggle played counterpoint to three others, much deeper. Another man, tall, thin, and blond—Karl—stuck his head up from behind them. "You are a dull dog, Abersham." Piero, a burly man with wiry, coal-black hair followed behind them all. One could tell he was a gentleman by the cut of his coat, but his countenance and frame most closely resembled a prize fighter. "Dull as a dumbwaiter." Toad lurched to his feet, his legs and back stiff from long hours in the chair. "None of you will be running your own mother&apos;s shipyard, and if you wish to join me in Marseille for practicum, I suggest you study more than you do." Piero waved away the objection. "Precisely why I need not. They can hardly fail you when your mother gave them a shipyard for us to play with, and will hold them accountable, not us, if we do not make money with it. And of course we will go with you. Bechand will deny you nothing, so happy is he with your mother&apos;s largesse. We are heroic by association." Blakeley interrupted with a discreet knock on the door jamb, holding out a calling card. "My lord, you have another visitor." Toad stared at the pasteboard card for a full minute before he stammered, "The Duchess of Winshire is here? Now?" Bey&apos;s mouth dropped open, shaking his head in denial. "The Duchess of Winshire? Oh, no." He looked around the room as though for a window to climb out. Toad wanted to follow him, but alas, they were eight stories from the street. "She is going to flay me alive, Abersham! I was supposed to go to London to meet her and my grandfather four months ago. She has written three times." Toad stepped over to the brandy and drank down a full measure before pouring another. "I rather think, Bey, if she is here to see me, you might get off scot-free. She is Sally&apos;s grandmother, too." Bey stepped away from Toad like he had warts. "That&apos;s right. She is. I shall pray she saves her ire for you, and that my grandfather hasn&apos;t come with her." "What is she doing in Paris?" Toad asked Blakeley. To scold him, or she would have sent word of her arrival. But he had no idea what she knew, how, or who had her ear, nor for what he might be called to account in the next few minutes. "I cannot say, my lord. Shall I show her in, then, or make your excuses?" Toad looked around the room at his friends; he and Bey exchanged uncomfortable glances and a mutual shrug and nod, and he reached for his jacket. "Show her in, please. The drawing room, I think." Turning to Bey&apos;s new mistress, he said, "Take that door to the library and stay out of sight." 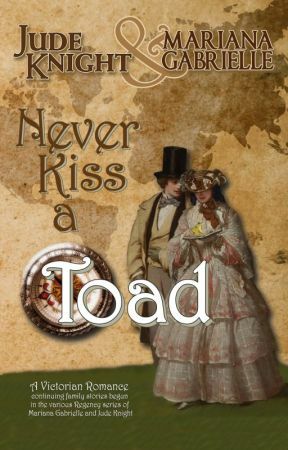 "There is no need for the young lady to remove herself," Toad heard from the doorway, where Blakeley had stepped aside. Bey froze; Ninon giggled and grasped Bey&apos;s elbow with both hands. Piero and Karl both took a step back from the formidable aura of power that radiated from the duchess, and Toad rubbed a resigned hand across his face. "Aunt Eleanor. It is... a surprise to see you." "I daresay," she said with a hint of mischief playing about the corners of her mouth, but the rest of her face as hard as he had ever seen it. "Blakeley, please bring tea," Eleanor instructed. As Blakeley left the room, Bey backed toward the doorway. "We should... We shall leave you to your guest, Abersham..."
"Oh, good heavens, no," Eleanor objected. "You need not interrupt your plans on my account. I will not keep you long. We can take a seat at the table, can we not?" Toad offered Her Grace a chair near the foot of the table, a seat she had probably never occupied in her entire life, and with a tilt of his head, indicated his friends should follow suit. Toad sat across the table from her; Bey, Piero, and Karl took chairs as far away as they could without being obviously rude, and if Ninon were any closer to Bey, she would be on his lap. Eleanor showed nothing of her thoughts apart from one elegantly curved eyebrow. She eyed the piles of books on the table. "May I assume, Abersham, this is your study group?" He blushed and ran his hand through his hair. "Yes, Aunt Eleanor. Er... the gentlemen, anyway." "Of course. Will you not present your little friends, dear?" They were as dissolute, at least this evening, as he had been in England, evidenced by the strong smell of spirits that had wafted in with them, and the fact that Ninon&apos;s breasts were all but spilling out of her gown. It could be worse only if she had also caught them dicing.